Why Should Conferences Be a Must Have for Rubyists? If this is your attitude, then you may miss one of the best opportunities to raise your game to a new level. Live events - conferences, seminars, lunch, and training - provide unique learning and career opportunities that you cannot find anywhere else. RubyFuza is the oldest Ruby conference in Africa, founded in 2011, it brings together leading software developers and influential people in the programming world. RubyFuza is a two-day conference and the perfect place to start a speaking career. 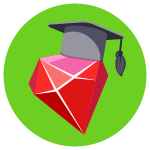 If you have Something cool you have been playing with, or have you done something that has improved your career, then RubyFuza could be a great chance to make yourself known. The annual RubyConf AU, where developers from hundreds of leading companies share knowledge about the Ruby programming language and celebrate the Australian and broader Ruby community. RubyConf AU provides useful content not only for experienced developers, but also for juniors who are just starting their careers. This conference is not only speaking but also parties. Pool party on the roof or a Chinese party in the garden, well, in general, about everything that definitely will not regret. Ruby on Ice opens its doors every year to gather Ruby enthusiasts from around the world. The conference is organized by the non-profit community of Germany - Ruby Berlin e.V., a voluntary organization that seeks to develop the Ruby community and help the Rubyists exchange knowledge and experience. Ruby on Ice takes place in Southern Bavaria in the spirit of EuRuKo and eurucamp, Rubyists from all over the world can gather, have fun in the snow of the beautiful Alps on Lake Tegernsee and talk about the future of Ruby, Rails and related technologies at a public conference. RubyHACK is a single-track 2-day event with space for HACKing: collaboration, mentoring, white-boarding, meeting with presenters and whatever makes sense between sessions! It takes place at the Sandy Campus of Salt Lake City Community College in a large collaboration space. Rails Camp is a retreat for the software and design community to meet and learn from each other while getting out of the city to unplug around the campfire. Rails Camp South takes place in Bandera, Texas, on the Twin Elm Guest Ranch, one of the oldest ranches in the country. Here you can take advantage of the many amazing amenities, whether it's a rough walk or camp in comfort. At the Twin Elm Guest Ranch, there are many activities in the camp itself, as well as many additional exits from the camp, such as evening karaoke, large field for any field-related activities, horseback riding, tubing, trick roping demonstration. RubyKaigi is an international three-day multi-track conference for the Rubyists. It takes place in the Japanese city of Fukuoka at the International Convention Center. RubyKaigi has been organized since 2006 and impresses even the most intelligent people with comprehensive negotiations and innovative ideas. Japan is Ruby's birthplace and is the perfect place to feel like a samurai lord, immerse yourself in centuries-old traditions and discover the origin of your favorite programming language. Since 2006, RailsConf is the world's largest and longest-serving gathering of enthusiasts, practitioners, and companies of Ruby on Rails. For developers, this is a chance to catch up with their brothers, as well as learn about the current and future status of developing Rails from leading people in the community. RailsConf is an experience that is just impossible to miss. Here you can learn and build with the best in sessions, seminars, lectures, and parties. The event takes place at the Minneapolis Convention Center. And Minneapolis is a real gem of the north. It is a clean and modern metropolis, filled with breathtaking natural beauty, art, and world-class theater. The developers of altruistic Ruby from Russia In 2017 launched a confday to train their colleagues, discuss the latest news and explore innovations that can transform business. Saint P Rubyconf is an excellent opportunity to come and listen, and chat with people who promote Ruby. Saint Petersburg, one of the main and most beautiful cities in the world, which impresses with its cultural heritage. EuRuKo is an authoritative conference that is held annually in different European cities. The EuRuKo diversity program also supports less privileged and under-supported groups of Rubyists who cannot afford to go or hesitate when attending a conference. In previous years, the conference was held in Budapest and Vienna, and this year it's sent to the Netherlands, to the city of Rotterdam. Brighton Ruby is a one-track friendly event for Rubyists and the curious Ruby. This is a great dynamic, a handful of speakers and the opportunity to talk with the aces of their business about updates, protecting and supporting Ruby on Rails applications. Brighton Ruby Conference is a carefree experience for everyone. There is a brief code of conduct here, not draconian, of course, but at Brighton Ruby, everyone enjoys and is attentive to everyone else. Southeast Ruby is a conference in Tennessee, and usually includes open-source sessions and software workshops, chatbots, skin models, and skin controllers, as well as database performance. Southeast Ruby is looking for speakers from all walks of life, with all experience and levels. If your topic is not directly related to Ruby, but you are passionate about it, you always have chances to share your experience with the community. The Ruby community in Thailand is overgrowing. This year the first RubyConf Thailand conference will be held in Bangkok. It originated from the monthly meetings of the Bangkok.rb community devoted to Ruby and other exciting software development topics. RubyConf TH will be held at the Pullman Bangkok King Power this fall. RubyC is the European conference on Ruby, Rails and other related technologies. It annually hosts hundreds of Ruby enthusiasts and developers from various groups of programmers to share knowledge, discuss the latest news, learn from each other and, as a rule, have a great time in Kyiv. RubyC is not only an opportunity to enrich an experience but also to get acquainted with the unique Ukrainian culture in the warm fall time. RubyConf has been the main annual meeting of Rubyists from around the world since 2001. Focusing on the development of the Ruby programming language and the robust community that is evolving around it, RubyConf brings together Rubyists, both experienced and new, to discuss emerging ideas, collaboration, and communication in some of the best places in the US. RubyConf is represented by a team from Ruby Central, as well as a small but dedicated volunteer corps. One of the key goals for RubyConf is to provide an inclusive and hospitable experience for all participants. Got it! Conferences can be expensive. From the conference ticket to the plane ticket, from the meals to the bar tab. And that doesn’t even include the time away from the office where work could be doing. However, a conference provides a unique convergence of networking, learning, and fun into a single package. A good conference forces to grow and challenge yourself. And if the boss, allowing employees to get out of the office, gain confidence in their ability, and bring fresh ideas back to the business is just an investment back to the company.